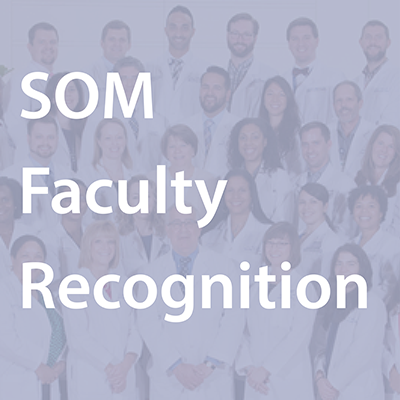 The week of November 28, 2016 has been declared Faculty Recognitions Week in the Emory University School of Medicine. Throughout the week faculty will be recognized for their accomplishments and excellence in patient care, research and education. Shown below are Winship members included in the School of Medicine's list of recognitions. This is just a sampling of the honors and awards that our faculty members have received over the past year. The MilliPub Club honors and recognizes current Emory faculty who have published one or more individual papers throughout their careers that have each garnered more than 1000 citations. Such a paper is commonly considered a “citation classic” and represents high impact scholarship. The Emory 1% Award honors and recognizes investigators who have received study section review scores in the top one percentile on a grant proposal. The below faculty members are being recognized for their high levels of patient satisfaction scores on Press Ganey satisfaction surveys. These faculty members finished above their division goal and in the top 90th percentile for their specialties nationwide on Press Ganey patient satisfaction surveys for Q1 & Q2 as well as Q3 & Q4. These Departments are recognized for achieving their Press Ganey patient satisfaction survey goal set by Grady Health System for CYTD 2016 (Q1-Q3). The Chief or Director for the department is noted below. These Emory VA providers achieved scores in the 90th percentile or higher on Press Ganey patient satisfaction surveys for the fourth quarter of 2016. This award recognizes faculty who have demonstrated outstanding mentoring in the domains of education, service, and/or research to trainees or early career faculty during the past year. For a comprehensive list of all Emory University School of Medicine recognized during Recognition Week, visit http://2016recognitionsweek.strikingly.com.